Welcome to the evolution of America’s greatest condiment. 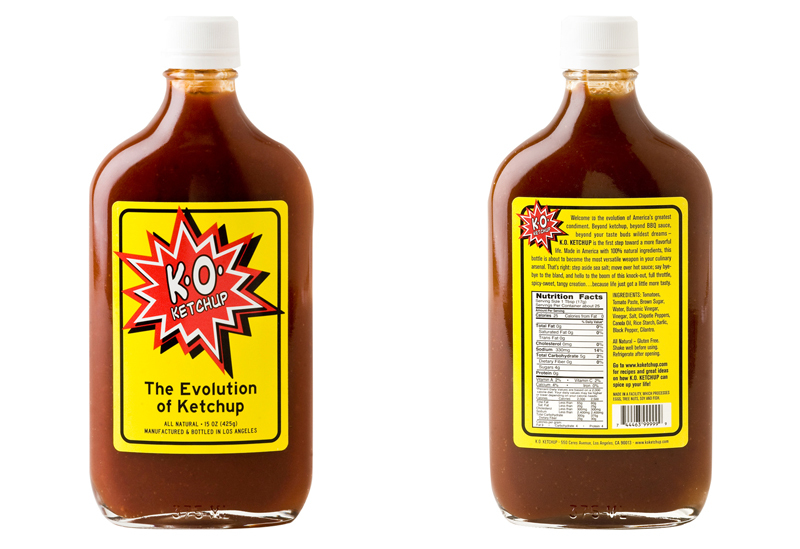 Beyond ketchup, beyond BBQ sauce, beyond your taste buds’ wildest dreams – K.O. Ketchup is the first step toward a more flavorful life. Made in America with 100% natural ingredients, this bottle is about to become the most versatile weapon in your culinary arsenal. That’s right, step aside sea salt, move over hot sauce, say bye-bye to the bland and hello to the boom of this knock-out, full throttle, spicy-sweet, tangy creation… because life just got a little more tasty. Tomatoes, Tomato Paste, Brown Sugar, Water, Balsamic Vinegar, Vinegar, Salt, Chipotle Peppers, Canola Oil, Rice Starch, Garlic, Black Pepper, Cilantro.